A remarkable and usually under the radar company known as Stover Ventures is said to be nearing its once-unliekly goal of raising capital — mostly so far from Iowa farmers — to construct a biorefinery near Osage, Iowa which will convert up to 14,400 tons per year of corn stover into a neutraceutical extract and a treated animal feed which tests are showing has a 71% higher digestability rating than a standard control feed in a University of Wisconsin trial. But its the antioxidant product that drives the economics. 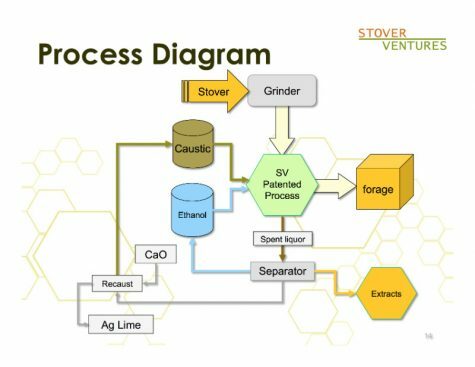 The Stover Ventures team projects a 3 percent yield from corn stover and a value of $35 per kilogram for the extract. 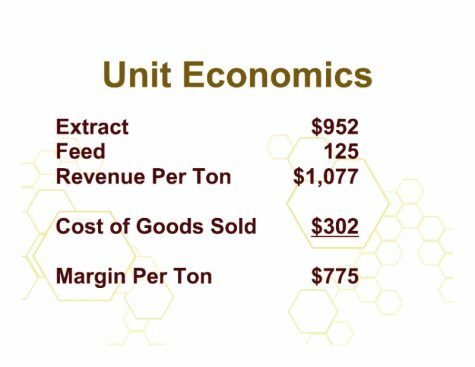 Combined with a $125 value for the remainder of the stover for its animal feed value, the overall ton of corn stover drives a value of $1,077 per ton. Cellulosic ethanol, by contrast, produces somewhere in the range of $300-$450 per ton after all carbon credits are added in for the high-value California market, in the yield range that most technologies produce. So, think double or even triple the revenue for cellulosic ethanol and you have the Stover Ventures proposal in a nutshell. And though the antioxidant market is much smaller than the fuels market, it runs over $4B these days and is growing at 6-8 percent per year. 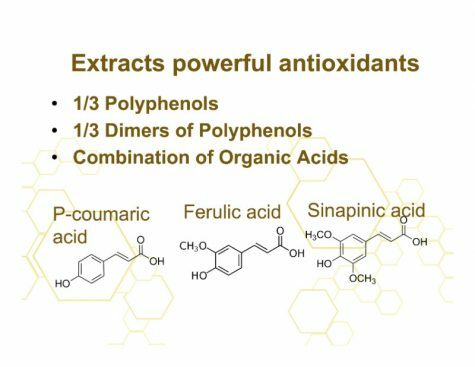 According to Stover, the extract is by composition 1/3 polyphenols, 1/3 simers of polyphenols and the remainder is a combination of organic acids including p-coumaric, ferulic and sinapinic. The extract is said to have a top quartile performance in terms of “Oxygen Radical Absorbance Capacity.” also known as ORAC, , which examines he standard measure for anti-oxidant quality. And the team says that the extract is “effective on human cells” according to a CAP-e assay which examines cell-based antioxidant protection in red blood cells. The company’s first production facility is expected to generate $9.9 million in revenue and $53 million in EBITDA, opersting 260 days per year, and based on a construction cost of $20 million that suggests a payback of four years. The company was established as a JV between the Ag Ventures Alliance Cooperative and Cellulosie Sciences International. The former in Iowa, the latter in Wisconsin. Ag Ventures Alliance is based in Mason City, was founded in 1998, and counts 400 members in its co-operative, and was formed to increase the incomes of farmers and other rural residents by participating in agriculture related businesses beyond the farm gate. Lignin is a dendritic network polymer of phenylpropanoid units which can be converted into plastics, adhesives and resins. Lignin, however, can inhibit the hydrolysis of cellulose, and many approaches for attaining high yield conversion of cellulose seek to disrupt the lignin seal in lignocellulosic materials. In addition, there is a wide variety of phytochemicals together with low molecular weight saccharides and proteins. The phytochemicals, commonly called extractives, represent minor fractions of the biomass depending on species. Phytochemicals are often biologically active as they form a substantial part of the defense of the source plant against pathogens and predators. In grasses, phytochemicals function to inhibit the action of enzymes that deconstruct polysaccharides, whether the enzymes are produced by biomass-degrading fungi or by microorganisms within the digestive tracts of ruminant animals. When phytochemicals have been found to have medicinal value, special procedures have been used for extracting them. Such procedures are usually very expensive and economically justified only on the basis of the pharmaceutical value. Apart from application in this context, phytochemicals have received very little attention in the fractionation of biomass because of their diversity, complexity and difficulty in isolating them. Specifically, phytochemicals typically are not soluble in water under ambient conditions due to their organic nature and the preponderance of non-ionic bonds in their architectures. However, they are readily soluble in various organic solvents such as aliphatic alcohols, hexanes, dioxanes, acids, ethers, methylene chloride, trichloroethylene, acetonitrile and the like. One of the disadvantages of … traditional methods for extraction of phytochemicals from biomass using organic solvents for extraction is that organic solvents do not penetrate well into plant cell walls because of the hydrophilic environment created by the dominance of polysaccharides among the constituents of most plant cell walls. For this reason, it is common to ball mill biomass prior to extraction of phytochemicals. Ball milling, however, is very energy intensive so that it is not likely to be viable in commercial processes for isolation of phytochemicals that cannot command a high premium. The company is raising capital for its commercial deployment right now. The group reports that “Meetings held for individual investors across Iowa and Minnesota attracted roughly 350 attendees and generated approximately $8,000,000 in investment and verbal indications. A minimum of $20,000,000 needed to break escrow and begin construction. Stover Ventures has reached “Phase Two” with its largest potential customer. This stealthy company has the capacity to buy 100% of production “under the right circumstances”. The potential customer has requested a larger sample to determine efficacy at different dosage levels. There is still more work to be done, but this is a big step toward getting to an off-take agreement for the extract. GRAS Associates, LLC has been engaged to represent Stover Ventures for “Generally Recognized As Safe” certification for the extract. Initial work began with literature searches for other products containing similar plant extracts or polyphenols. Capital raising efforts have shifted to focus on institutional investors going forward. These investors consist of companies that make strategic investments in new technology, venture capital firms, private equity firms, and infrastructure project equity firms. Equity and strategic partnerships to complete engineering, construct initial processing facility and market finished product. Equity of $20-25 million is being offered to accredited investors, including individuals as well as strategic institutional investors, for the construction of the facility. Stover Ventures has previously raised $1.5 million in seed funding to validate the process and market. 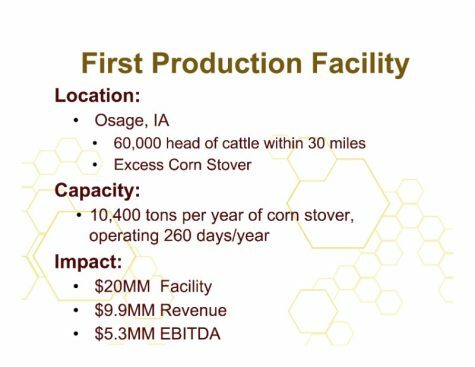 You can see the Stover Ventures presentation here — which contains details on feed trials, economics, market development, offtake and the technology in more detail. All about this remarkable story, here.